Draw the pictures with blocks as the numbers give hints to how many blocks in each row and column. If you don't know how to play nonogram puzzles, please go to the "How to Play" screen, it's well explained. If you want to play Armor Picross 2 games online you have come to the right place! GamesLoon adds new Armor Picross 2 games every week. This is your game portal where you can find the biggest collection of free Armor Picross 2 games online. 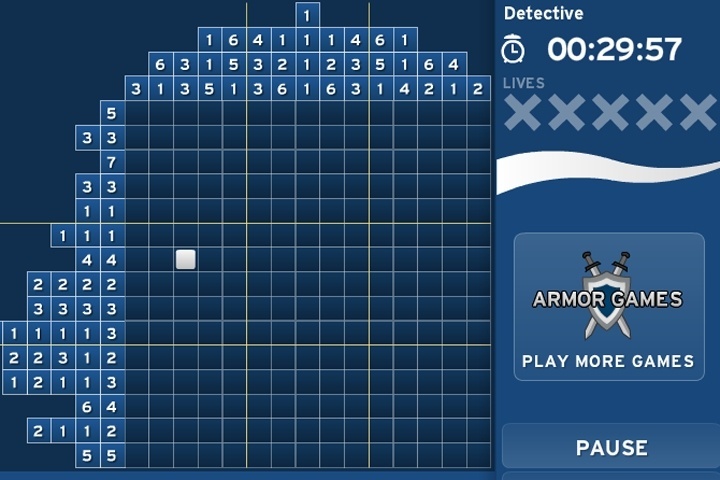 Do not forget to rate our Armor Picross 2 free online games while playing!